Q 2. Govt has announced the merger of Bank of Baroda, Vijaya Bank and Dena Bank to create a large bank. After merger what would be its rank in India in terms of size ? Q 3. With whom has Voltas created a JV to launch home appliances like washing machines, dish washers , microwaves etc ? Q 4. What measure announced by SEBI will help the mutual fund investors and hurt the AMCs and distributors ? Q 5. Which Indian co is behind the brand BKT that has signed up as one of the sponsors of Big Bash League in Australia ? Q 6. Where has the Veer Surender Sai airport inaugurated by PM recently come up ? Q 7. Who is the newly appointed Chairman of SAIL ? Q 8. Which sports brand has sponsored Asian Games medallist Hima Das and has come forward to develop special shoes for Swapna Burman ? Q 10. Which company has become the largest exporter of cars from India ? Q 11. How much time has RBI given Rana Kapoor as MD & CEO of Yes Bank? Q 13. What is the rationale given by Tim Cook to justify the high prices of over 1000 $ for the newly launched iPhones ? Q 14. What scare in Australia has led retail chain Woolworth’s to stop sewing needle sales immediately ? Q 15. A large life insurance co in US has made it mandatory to wear activity trackers like Fitbit or Apple Watch for issuing new policies. Name the company. Q 16. Here is a Wal-Mart employee wearing a VR (Virtual Reality) Headset. What programme has Wal-Mart launched using this technology ? Q 17. “We tend to overestimate the impact of a new technology in the short term, even as we underestimate its longer term impact”. What is this law or principle known as ? Q 18. WhatsApp is the No 1 in the messenger market . Which messenger is No 2 worldwide ? Q 19. US is trying to stop China from procuring defence supplies from Russia based on CAATSA. Expand CAATSA. Q 20. Which European bank is involved in a major money-laundering scandal that has led to the resignation of its Chief Executive ? Last week the blog page crossed 25 lakh hits. 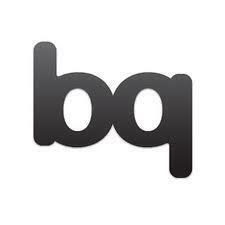 IBQ thanks all the readers.